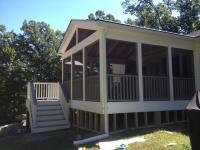 Porch Enclosures turn your porch into a sun room, screened in porch, or a three season room. These enclosures range from outdoor curtain systems to open air systems, but no matter your style there is a design and budget to fit it. 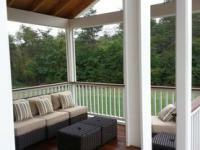 A Screen Porch design can range from very simple to very unique and that's what makes it such an amazing addition to any home. Country Porches just scream "WELCOME" and with no visible boundaries they make a great transition from the outside to the inside of your home. 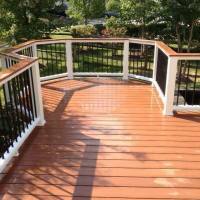 These types of porches can range in size and can either spread all the way around your house or just a small area. The choice is up to you! Sun Rooms let the sunshine in to make this type of addition enjoyable no matter what season you are in. Not only do they add additional living space but will most certainly add to the value of your home. 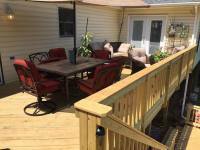 Royal Decking & Remodeling, LLC © 2017. All Rights Reserved. The most common material for building fences is pressure treated wood and RCS guarantees to only use the best toinsure top quality. Whether you need a privacy fence, livestock fence, a fence around your backyard, pool, or your entire farm, we got the skills needed to build exactly what you need! 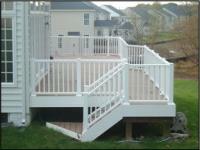 Our staff is experienced in every way to help you design and create your fence from beginning to end. From your first phone call, a meeting with one of our building professionals, to the building of your fence, we value your time and always guarantee customer satisfaction.